ROME (Reuters) - Italy's ruling League party has drafted a law proposal which would eventually allow the government to sell the country's gold reserves through a change to the constitution. 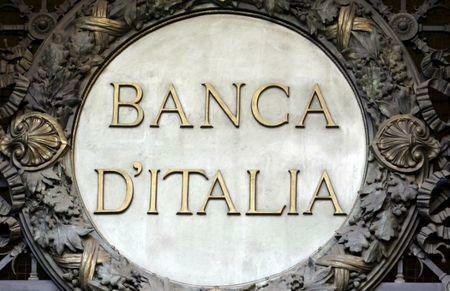 On Monday La Stampa newspaper said the government was considering using part of the reserves, which are held by the Bank of Italy, to rein in its budget deficit this year and avoid a planned VAT increase in 2020. Officials in the majority denied any plan to sell the gold, but the draft seen by Reuters proposes an amendment to current legislation which would allow the sale of the reserves if it were "authorised through a constitutional law." Claudio Borghi, the League's economics spokesman, told Reuters the amendment, which has not yet been presented in parliament, was "only a hypothesis." Borghi has already tabled a bill intended to establish that the gold is the property of the state, rather than of the Bank of Italy, a point which is disputed in Italy. The proposal for a constitutional law was aimed at reassuring people that the government had no plans to sell the reserves to fix its current public finance difficulties, Borghi said. A constitutional law requires a lengthy legislative process, a large parliamentary majority, and in some cases a referendum. Borghi said that alternatively, his party may present a law spelling out that a 2/3 parliamentary majority was required to sell the gold, or even that it could not be sold under any circumstances. Italy is the world's third-largest holder of gold reserves, behind the United States and Germany, with 2,451.8 tonnes as of last year, according to the World Gold Council.